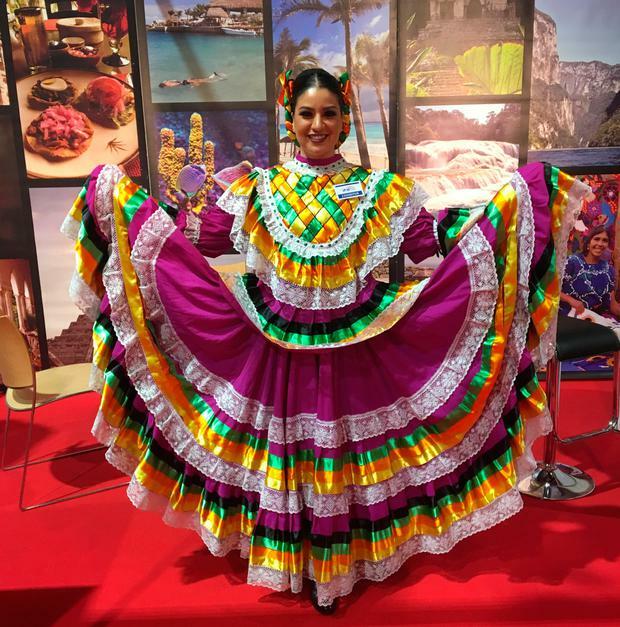 Holiday World: Diana Zavala at the 2018 Mexico stand. 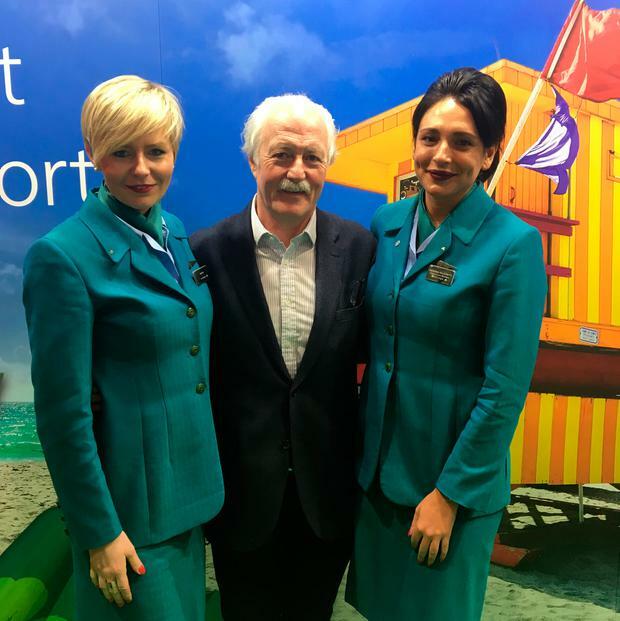 Aer Lingus cabin crewmembers Iwona Prusinska & Natasha Palazzetti with John Spollen of Cassidy Travel. 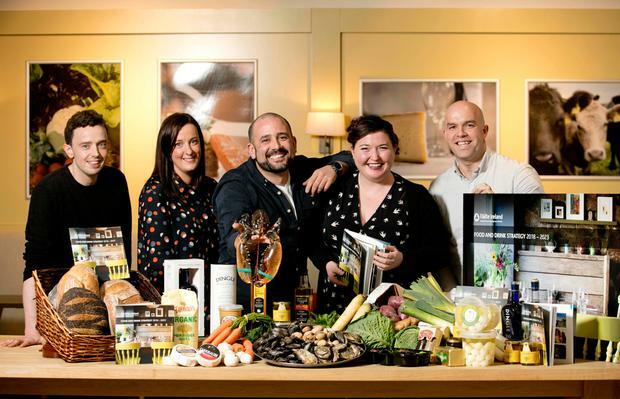 Fáilte Ireland Food Champions Chris Molloy, the Lemon Tree Restaurant, Letterkenny; Sinead Hennessy, Fáilte Ireland; Niall Sabongi, Klaw Restaurant, Dublin; Seaneen Sullivan, L. Mulligan Grocer and Mark Murphy, Dingle Cookery School, Kerry at the launch of Fáilte Ireland's new Food and Drink Strategy 2018-2023. Photo Chris Bellew /Fennell Photography. 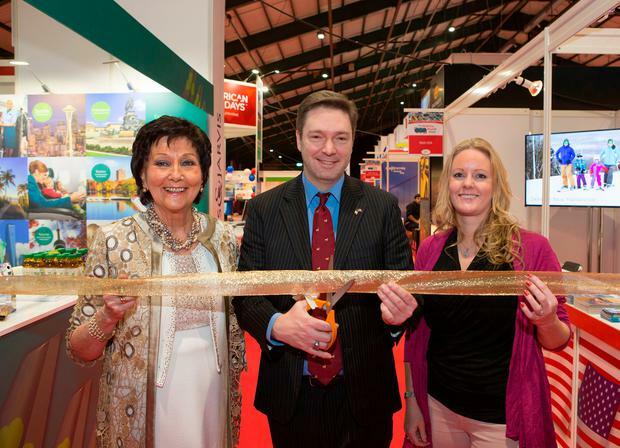 Holiday World has opened at Dublin's RDS, with over 1,000 experts providing more travel inspiration than ever. Here's your need-to-know. Holiday World runs at Dublin's RDS Simmonscourt from Friday, January 26 to Sunday, January 28 (11am-5.30pm). Over 1,000 travel experts from 55 countries are exhibiting this year - a great one-stop shop for your holiday research. Tickets cost €7 for adults, €3 for senior citizens or €14 for a family, but you can nab a 2-for-1 discount by registering online here. Sentiment is soaring as Holiday World rolls into Dublin. January bookings have been high, the ski season is flying, and both Dublin Airport and Ireland Inc. clocked record numbers of visitors in 2017. Some 75pc of Irish Travel Agents' Association members saw an increased turnover in 2017, according to its latest quarterly survey - the industry is firmly on an "upward trend", ITAA President Cormac Meehan says. Throw in 1,000 experts from 55 countries in good spirits, and it's all a far cry from the doom and gloom pervading shows just a few years ago. Hit me up with a deal! How about five nights in Las Vegas for €339pp? No, really. Transatlantic air capacity is booming right now, and tour operators are capitalising with some ridiculously low package prices. Tour America (K3, touramerica.ie) is advertising return flights and stays at Excalibur from €339pp departing December 11. What about prizes and show-only offers? 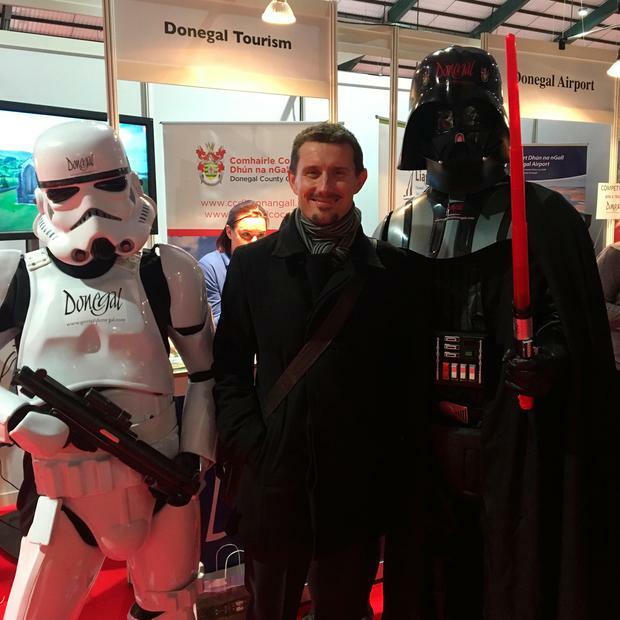 These are a huge draw at Holiday World, with prizes this year including the chance to win a trip to Cape Town with South African Tourism, Qatar Airways and GoHop.ie, or a trip to Iceland with WOW Air, CenterHotels and Reykjavík Excursions. Simply make your way to their stalls and get the entries in. Full list of prizes here. 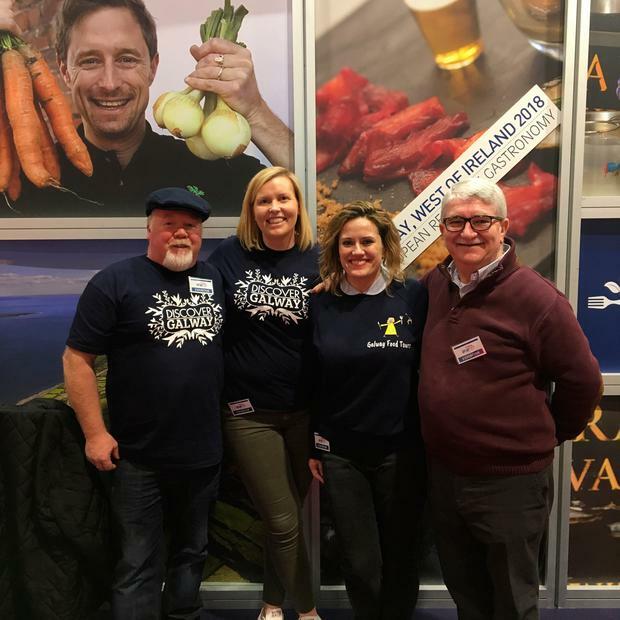 Galway was voted best home holiday destination in our Reader Travel Awards 2018, and it's making a big splash at this year's show (V11/W8), with a large portion of its stand dedicated to Ireland's first European Region of Gastronomy. New for this year? The Aran Islands Hotel (aranislandshotel.com) is opening 25 new bedroom chalets overlooking Kilronan Harbour on Inis Mór, where cheesemaker Gabriel Flaherty also plans a new 'Économusée'. From March 24, visitors to his Aran Islands Goats Cheese (arangoatcheese.com) can enjoy tours and tastings. Watch out for a new Bay Coast Wild Atlantic Way Food Festival (April 8-15) too, centred around Renvyle House, Killary Fjord and Kylemore Abbey. For more see galwaygastronomy.ie, and pick up Saturday's Weekend Magazine, which has a full travel special on the City of the Tribes! Spain and Portugal were the most popular holiday destinations for Irish holiday makers in 2017, according to the ITAA quarterly survey. Italy topped the poll in our Reader Travel Awards 2018, but Spain remains Ireland's most popular holiday destination in terms of trips, with the Spanish Tourist Office in Dublin estimating over two million visits last year. What's the news in cruise? Celebrity Cruises (K3) is home-porting Celebrity Eclipse in Dublin for a period this year, with a further commitment to start and end voyages in the city in 2019. 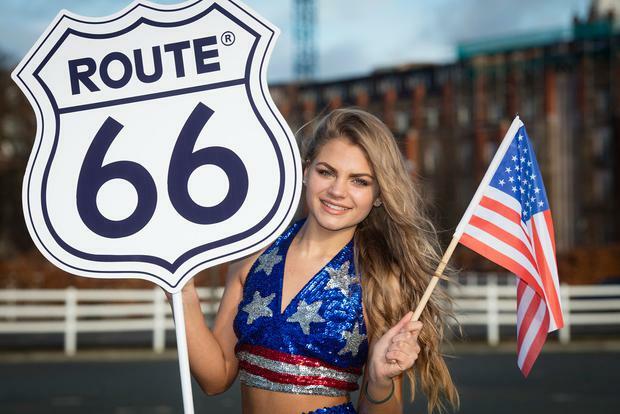 It's teaming up with Tour America at this year's show... offers include a seven-night Fort Lauderdale and Caribbean fly/cruise from €1,129pp, travelling next December. Meanwhile, Royal Caribbean's (R2/S2) Amanda Darrington tells me that Symphony of the Seas, the world's largest cruise ship, is full steam ahead for its April launch. "It's all looking beautiful," she says - as is the refurb of Independence of the Seas. 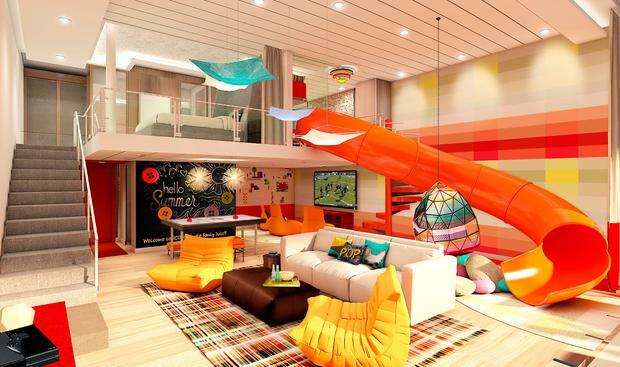 Symphony's most eye-catching feature is its family suites (above), complete with slides and Lego walls, but we've yet to learn how many will be onboard. The ship debuts in Europe, before moving to the Caribbean for winter, and buzz is building. Despite developments in Dublin Port, incidentally, Amanda says Royal Caribbean currently has no plans to home port in the city. The cruise line is "always looking at the best experiences for customers," however, and Irish ports of call are on the up. 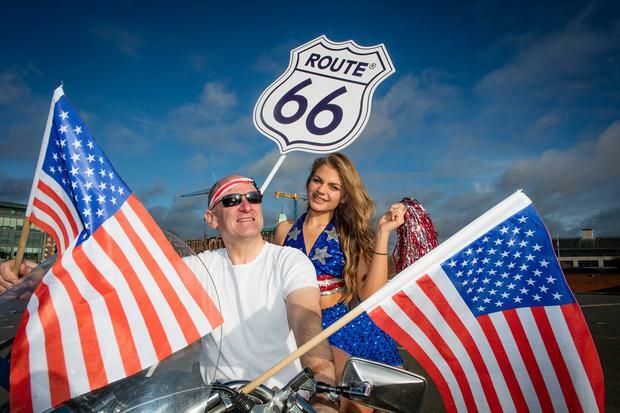 Visitor numbers to the US have fallen during Donald Trump's presidency, but Irish holidaymakers do not seem put off. In the most recent quarterly survey, ITAA ranked the USA as Ireland's third most-popular destination in 2017. One factor behind this is the boom in transatlantic air routes, with Aer Lingus (N1) alone set to launch direct flights to Seattle and Philadelphia this year. "There are now over three million transatlantic seats from Ireland on sale," says Cormac Meehan. The ‘Visit USA Pavilion’ at the 2018 Holiday World Show will be the largest in the show’s 29 year history. 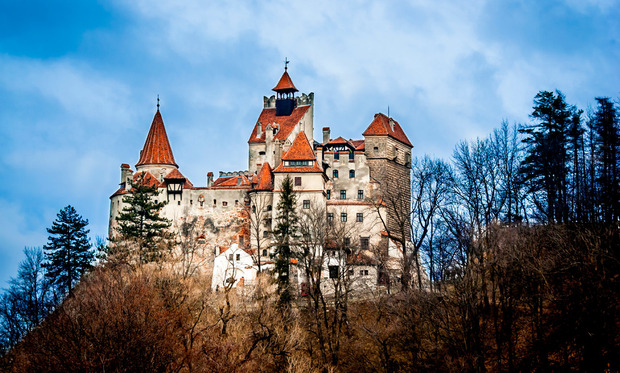 That's according to Sara Zimmerman of Travel Department (B2), which last year introduced Romania to its brochures. Tours have since mushroomed from one to five. "The price drives people, but the destination brings them back," she says. Slovenia, Croatia and Montenegro are also tipped as hot Eastern European properties for 2018, as discerning holidaymakers flee the crowds elsewhere. Travel Department is offering €50pp off bookings at the show. That'll be Longford, according to Fáilte Ireland figures. But for how long? Center Parcs opens in 2019, and Matt Farell from Edgeworthstown (W1) says locals are getting excited about the employment and services it will bring to the county. "They will put Longford on the map," he tells me. "Malta is booming, and there aren't enough seats!" That's the word from Peter Vella, UK and Ireland director of the Malta Tourist Office. Ryanair flies from Dublin, and recently introduced a route from Belfast, but demand still outstrips supply, he says, with visitor figures up some 16pc in 2017. "It's in vogue," he chirps. 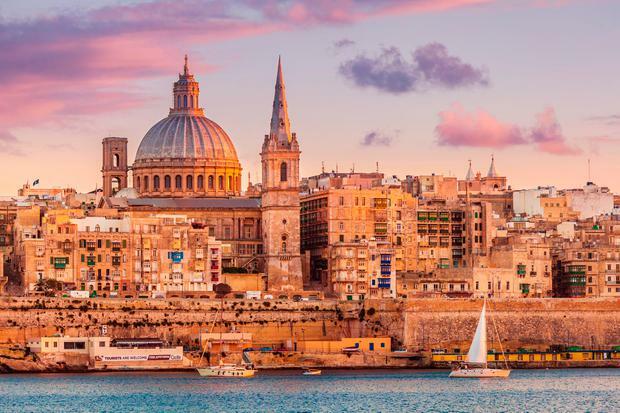 Valletta's role as European Capital of Culture is a driver, as are food, culture and Game of Thrones locations, but the archipelago is also growing as a winter sun destination (January is a balmy 16 degrees). "The image of it being for old people is being shaken off." Remember when Apple returned to the retail market, opening flash stores and 'genius bars' where people could engage with human beings? John Spollen of Cassidy Travel reckons the same is happening with travel agents. He calls the human touch and expertise "the Apple scenario". "This is a very exciting time to be in the industry; it’s as exciting as when we were first setting up 30 years ago," he reveals. Travel is like a bellwether for the economy, John adds. "Before the recession, we had a feeling that something wasn’t right, we saw a resistance to spending. It's similar now, only people are spending a bit more. Hopefully it keeps building." Cassidy Travel was voted Ireland's No.1 travel agent in this year's Reader Travel Awards. How did John and his team react? "We were delighted! We think the awards set the standard for service levels across the trade - our staff were so well pleased." ‘"The phones are hopping," says Marie Claire Porter of Sunway, which recently celebrated its 50th birthday as an Irish, family-run tour operator. Turkey offers some of the best value in the sun holiday market right now, she says, with bookings up 10pc in 2017. Could a comeback be on the cards? Sunway's special offers include €100 off long-haul and cruise bookings made at Holiday World, and early booking discounts of €50pp. Travel expert Eoghan Corry continues his series of talks in association with TravelExtra at Holiday World, with topics including Holiday Trends, Africa, Solo Holidays, Visas and Passports, Irish Attractions, Cruises and Adventure Holidays. On Saturday, Today FM DJ Phil Cawley, who has led a number of groups on the Camino de Santiago in Spain, will appear as part of the panel called ‘European Calling’. 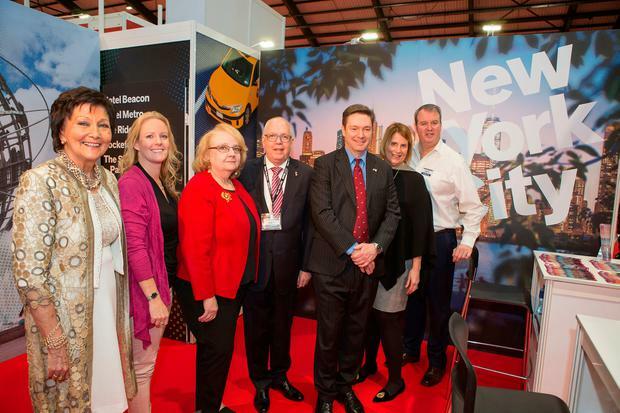 *The Italian State Tourist Board are bringing their biggest ever stand to Holiday World Show, while Spain boasts the largest single stand (P9/Q10). *This year's home holiday pavilion is the biggest in the show's history, and there's also a new Northern Ireland Tourism Village. *Largest Home Holiday stand? That belongs to Donegal Tourism (W4/X6). Its stands are affectionately referred to by neighbours as "a whole street" at the show. Watch our for Darth Vader and his Stormtrooper buddy, celebrating the county's recent appearance in Star Wars: The Last Jedi. *Watch out too, for the Munster Vales (U15/U16), a new Irish brand that launched in October and is already making waves. It incorporates the Comeragh, Knockmealdown, Galtee, Ballyhoura and Nagles mountain ranges. "Last year, 2017, is now over and done," said Paul Keeley of Fáilte Ireland, who yesterday launched the authority's new Food & Drink Strategy. "At the beginning of every year the clock is reset to zero and tourism has to pick itself up and win business all over again."